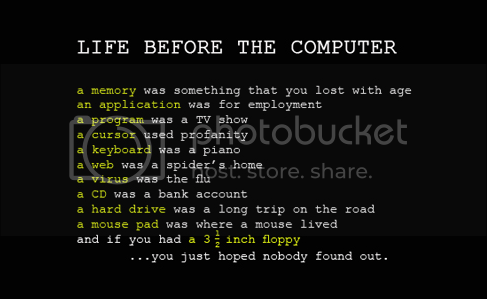 Thread: How computers have changed the meaning of our words! a Disk was a frisbie. a Screen protected you from bugs. a Monitor was someone at school that watched the halls. a Net was used for picking up fish, throwing a ball in or hitting over. a Crash was a wreck. a Tablet was used to write on with an ink pen.